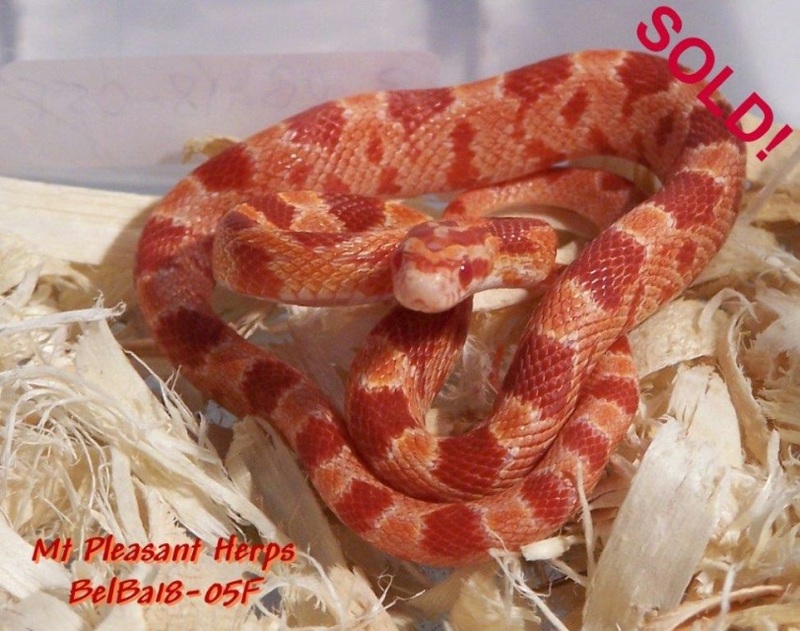 2018 Female Amel Hypo/Strawberry pos het Anery, Stripe & Sunrise Corn Snake (BelBa18-05F) - SOLD! 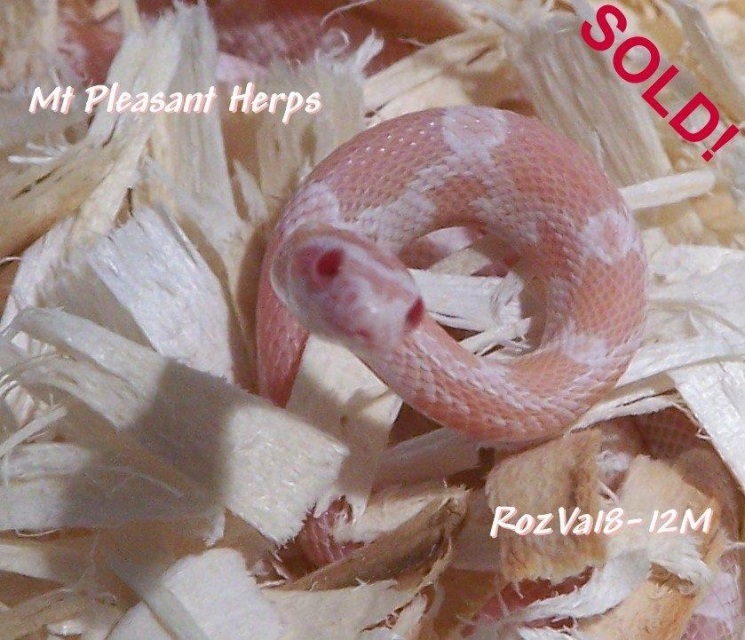 2018 Male Hypo Snow (formerly named Coral Snow) poss. 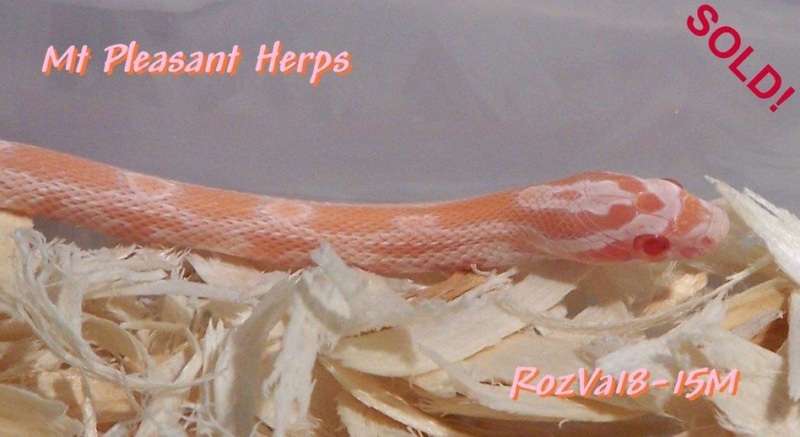 het Sunrise Corn Snake (RozVa18-15M) - SOLD! 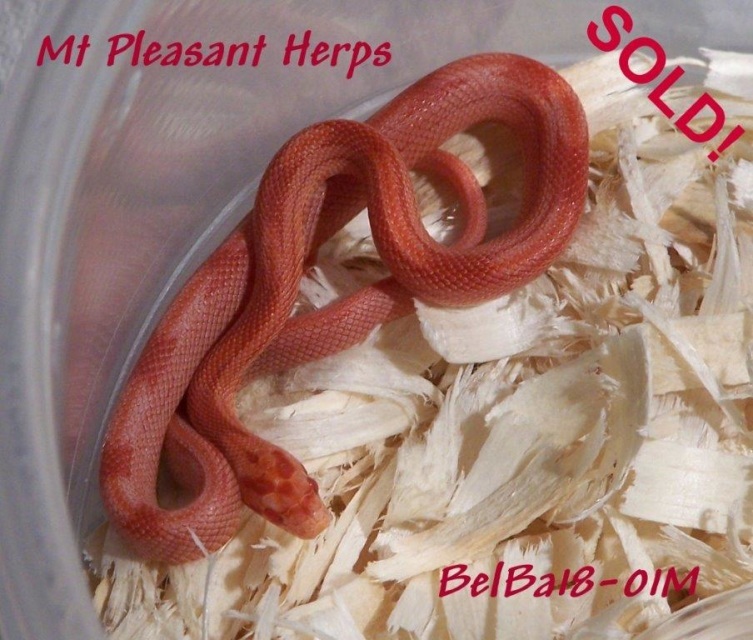 2018 Male Amel Hypo/Strawbery Cube Stripe pos het Anery & Sunrise Corn Snake ( BelBa18-01M) - SOLD! 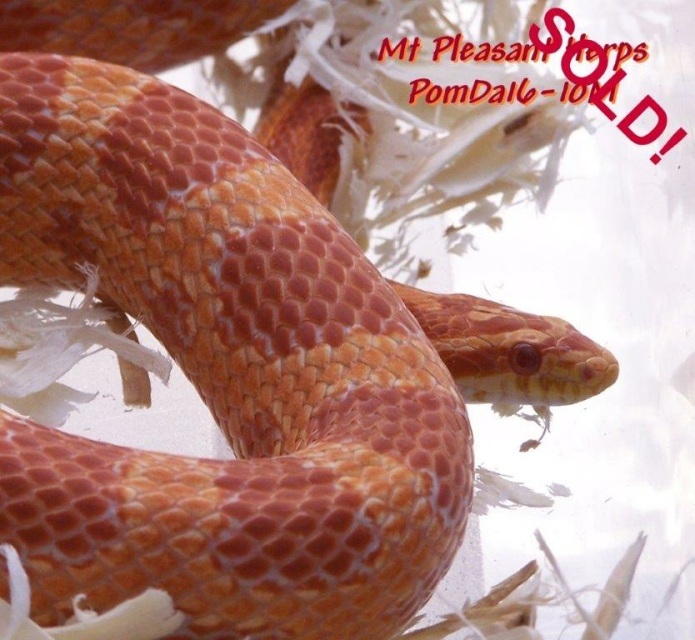 2016 Male Amel Corn Snake with hets (PomDa16-10M) - SOLD! 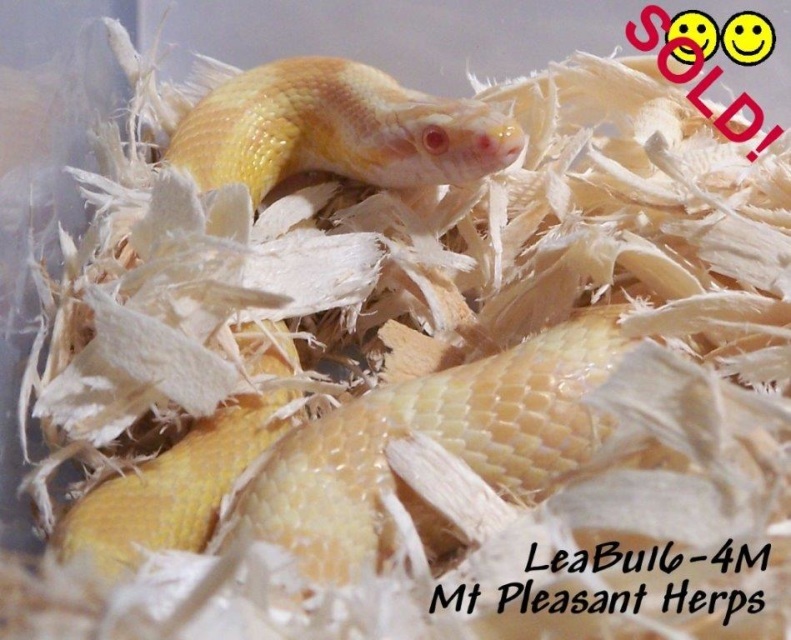 2016 Male Butter het Motley Corn Snake (LeaBu16-04M) - SOLD!